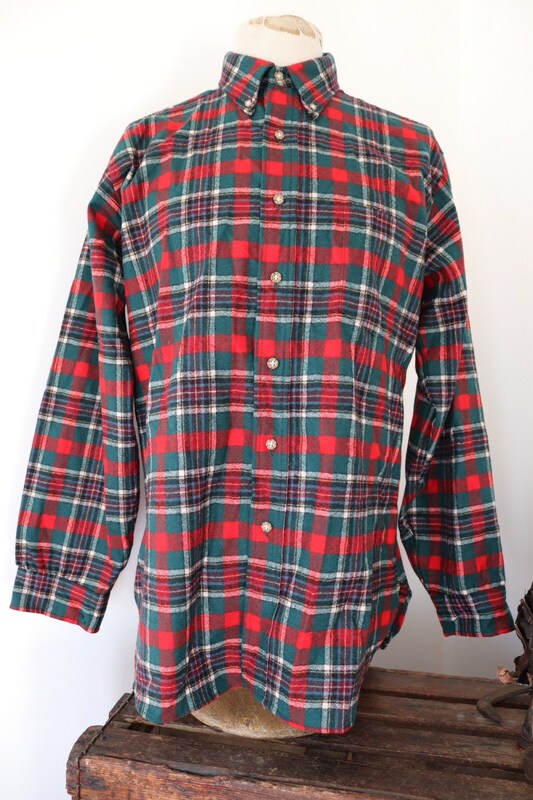 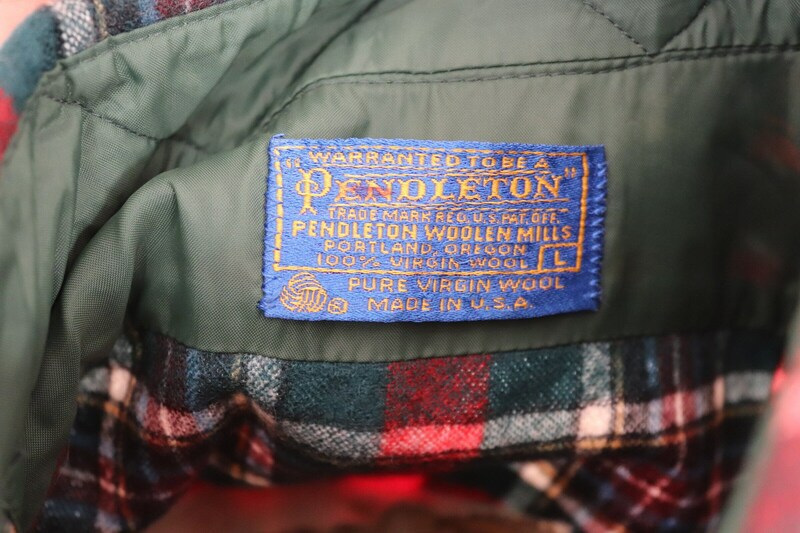 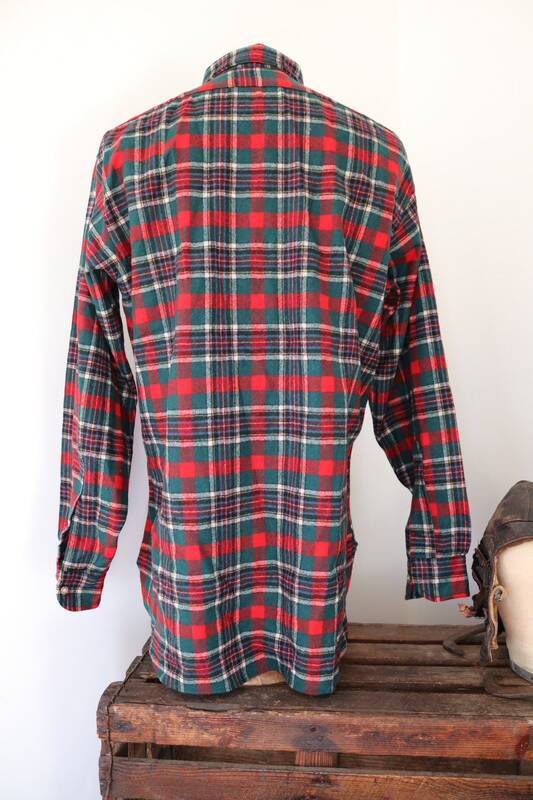 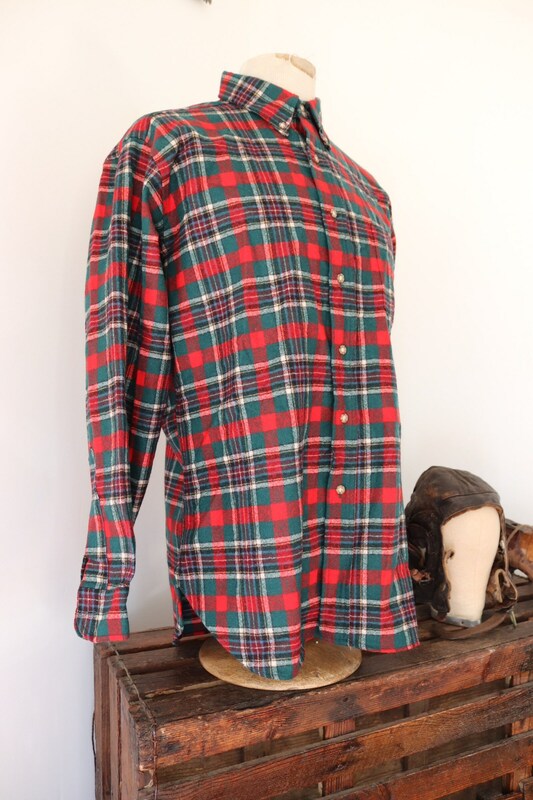 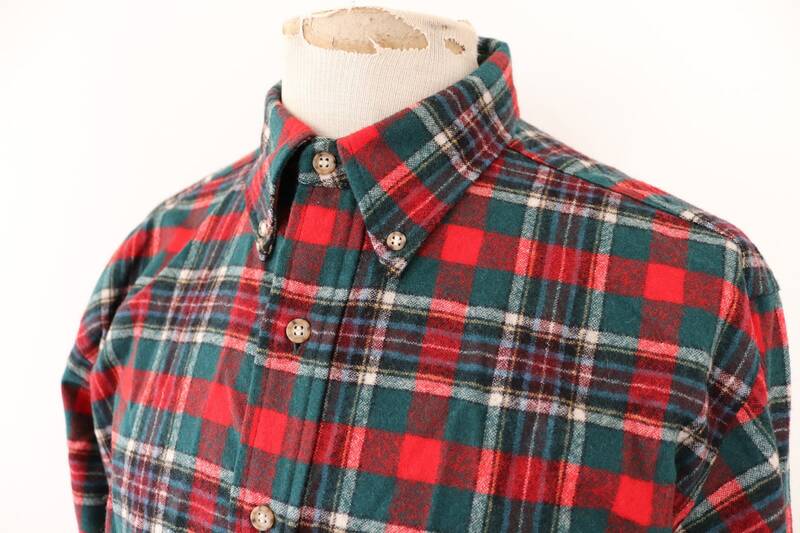 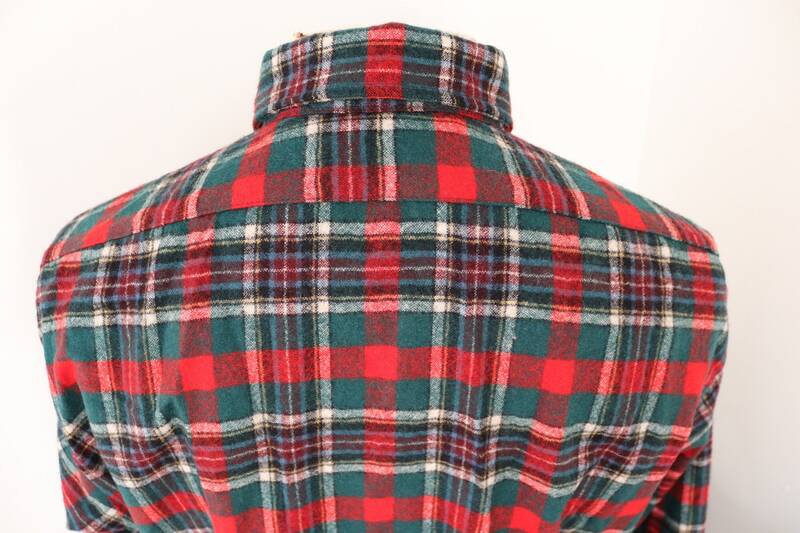 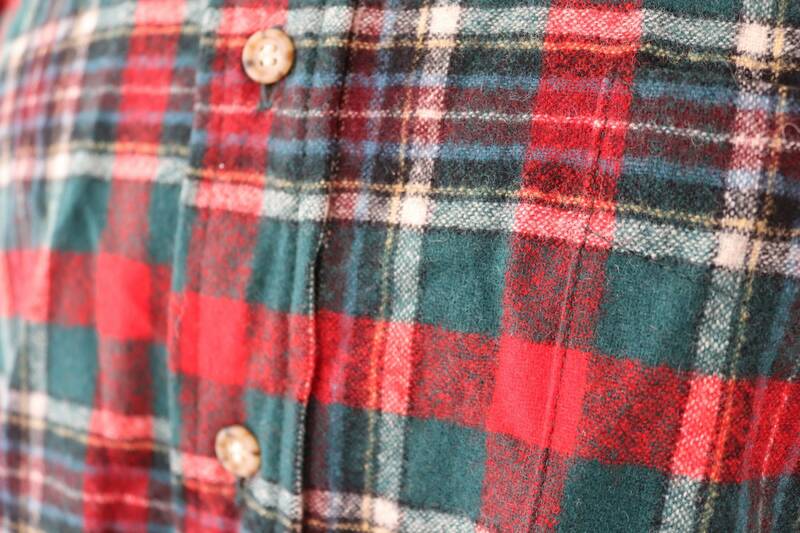 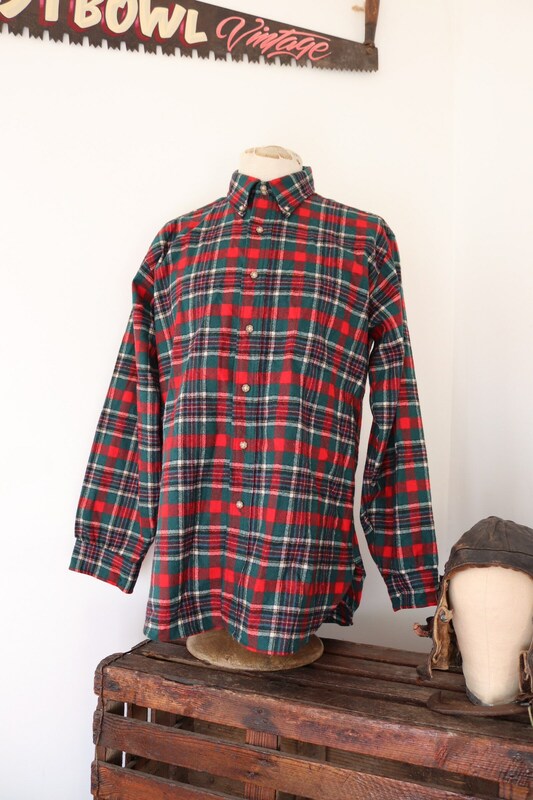 A red and green plaid wool shirt by classic American brand, Pendleton. 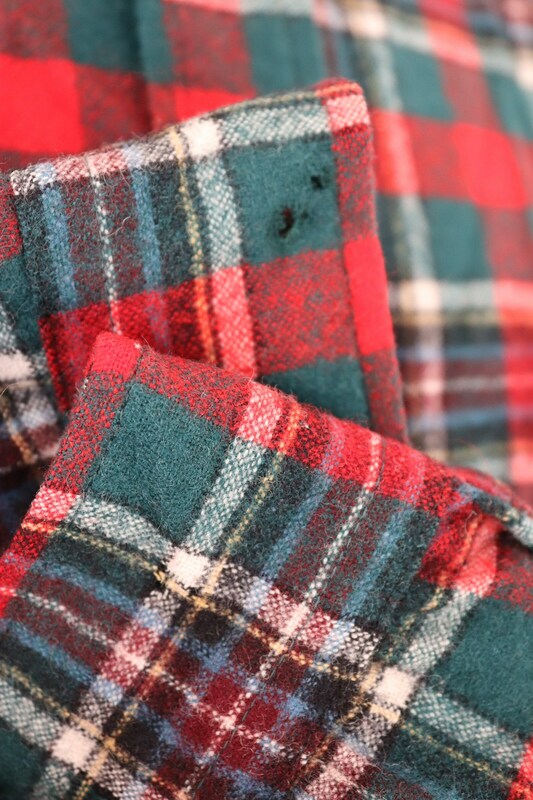 Noted flaws - some surface damage on the cuffs - please see photos. 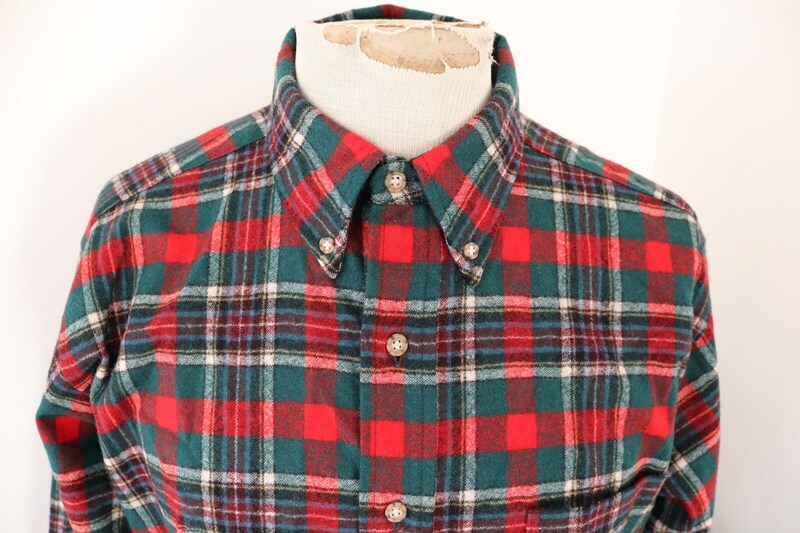 Great condition otherwise , soft wool, nylon lined button down collar, full set of buttons, freshly laundered, great quality shirt by a classic American brand.